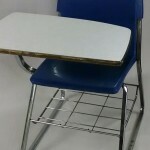 We carry an extensive line of stylish student furniture. The typical office furniture may be too large for students’ dorm room or bedroom and that’s why we provide special furniture for students, which is affordable, small and high quality. 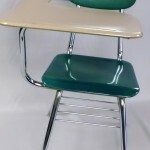 A student spends a lot of time studying at his or her desk and it’s important for them to have a comfortable and functional workspace and a comfortable chair. The usual furniture may not provide the necessary comfort for studying. You can visit our furniture stores near Winston-Salem in Greensboro to select high quality student filing cabinets. Our spacious furniture stores in High Point neighbor¸ Greensboro displays a variety of special students’ furniture, which will make every parent proud to be able to so completely furnish their child’s room. Our available used student furniture has enough selection to create an elegant look, wherever and however your student chooses to set-up his or her dorm room. They are not only superior in quality but are also long lasting and durable. Office Furniture Unlimited has been supplying used and new furniture to Greensboro and surrounding area for years and prior to opening our doors, Andy McKinney worked in his families furniture business. 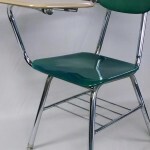 So we understand the needs of Winston-Salem, High Point and Greensboro when it comes to student furniture and any type of office furniture for that matter. And Since we are so close to the universities we have been able over the years to supply used student furniture to many many students that have graced the halls and grounds of our institutions of higher learning. We are well familiar with the unique needs of students and have the student furniture that they need to set-up the perfect dorm room. Come into our 40,000 square foot showroom on East Lee Street in Greensboro and if there is something on the floor that suites you, pick out your preferred finish, brand and design from one of our catalogs and we’ll have it here shortly. 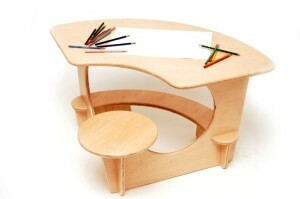 Other than student furniture, we also offer standard office furniture. You can get used office furniture, of just about any type in our huge furniture showroom. We provide discount office furniture, which is in excellent condition and will certainly save any buyer a lot of money over other options. 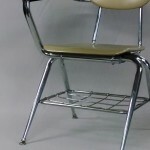 We are well established as a quality office furniture provider in the Winston-Salem, High Point and Greensboro area. Office Furniture Unlimited is the ultimate solution to your furniture needs, be it commercial or residential. New and used office furniture including desks, office chairs, file cabinets, tables, partitions, credenzas and more, all at huge discounts, including 200 work stations available for immediate delivery and set-up. Copyright © 2019 Office Furniture Unlimited - All rights reserved.